Breaking news... An auditorium collapses with people inside... 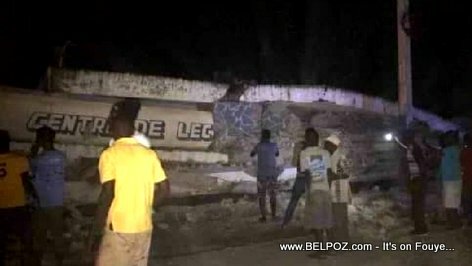 There are casualties reported in Gros Morne, Artibonite, Haiti, after a 5.9 Magnitude earthquake hit the city Saturday evening, October 6, 2018. According to a journalist live on the scene, many people have lost their lives in Gros Morne.